Free Shipping - no min! Every month here at CleanerToday we sponsor a photo contest in which we invite customers to send us their most impressive photo showing the outstanding moth catching ability of our line of moth traps. Many times, a picture does truly speak a thousand words, or in this case, at least dozens of moths. Customers who submit one of the five best photos of the month receive a gift certificate that can be redeemed for a set of two moth traps. 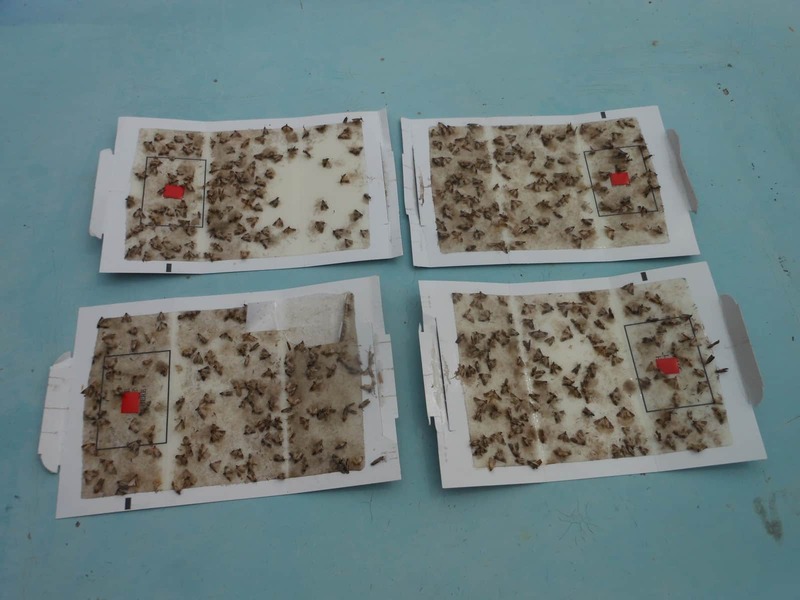 In addition, all customers who submit a photo showing a used moth trap with at least 10 moths caught will receive 10% off coupon to be applied to a future order. Here at CleanerToday, it pays to take and submit a photo of your moth trapping success stories. The customer who submitted this photo lives in Idaho. 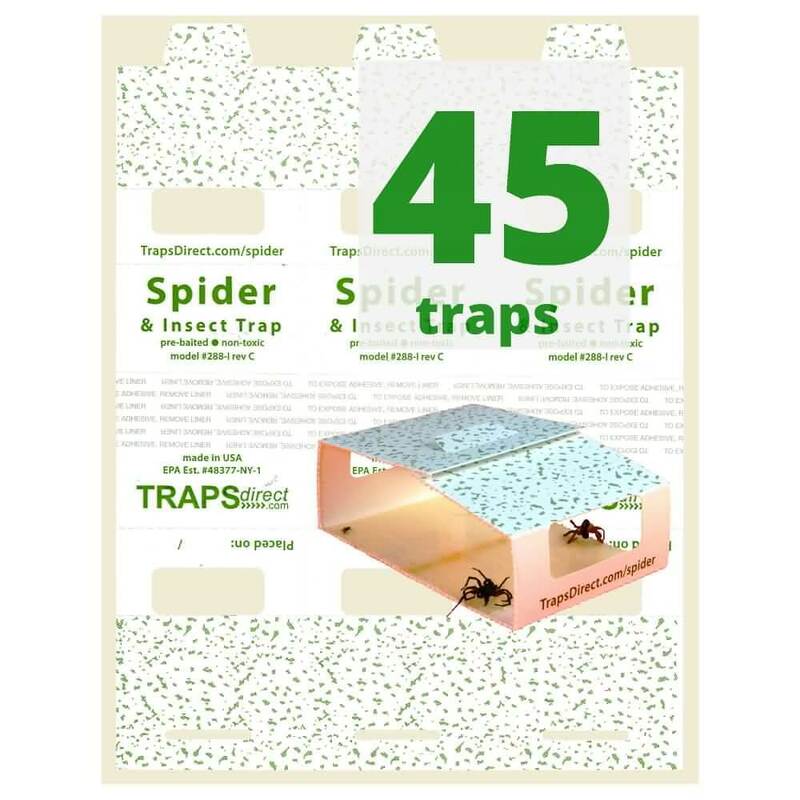 Following the advice provided in the instructions, the traps were placed in the pantry, on top of the refrigerator, and in several other cabinets where moth activity had been noted. 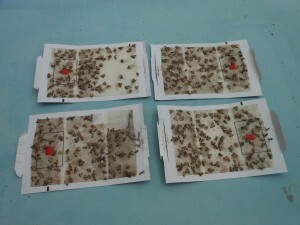 The customer reported that the best results were achieved on top of the refrigerator. The pantry located trap had the next best results while those located in the other cabinets had far fewer catches. It is impossible to know sometimes why one trap placed in the same general area works better than identical traps placed in close by locations. 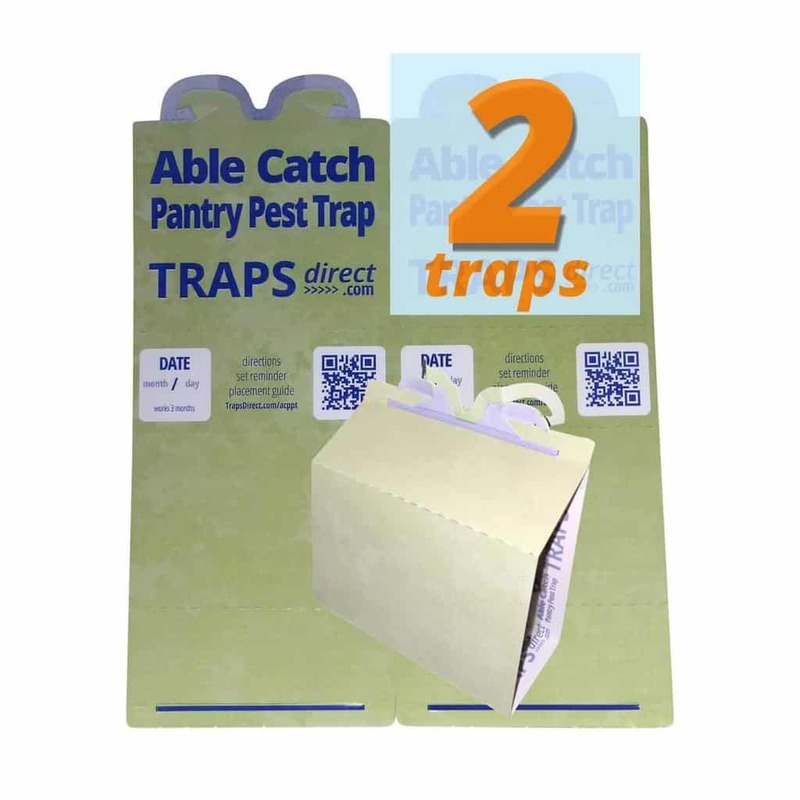 We have found that it works best to try placing traps in several locations to determine where the best catch rates are and then to more frequently replace trpas in those locations as compared to traps that are filling more slowly. 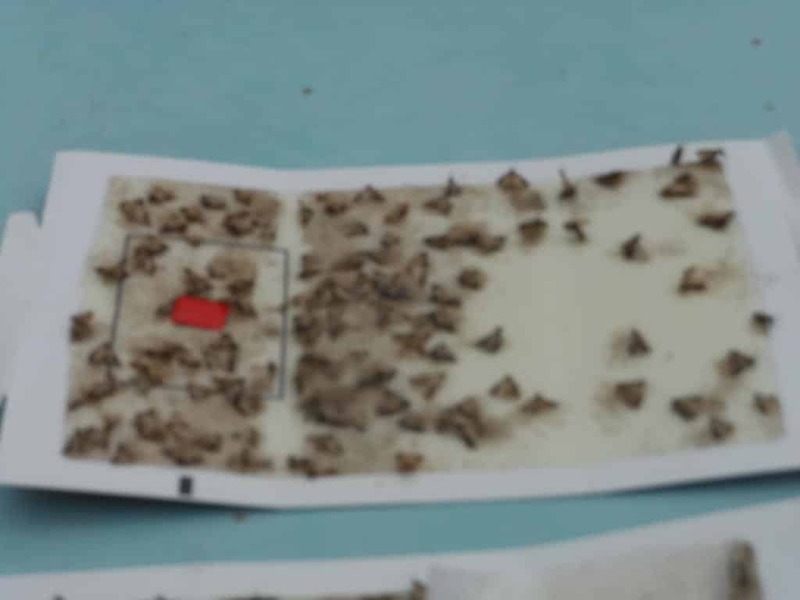 What we do know is that the moth traps are pheromone activated so only male moths who are of breeding age will be attracted to the traps and become trapped. Over time, as the breeding cycle is disrupted, fewer and fewer moths are breeding and reproducing until they eventually die out. 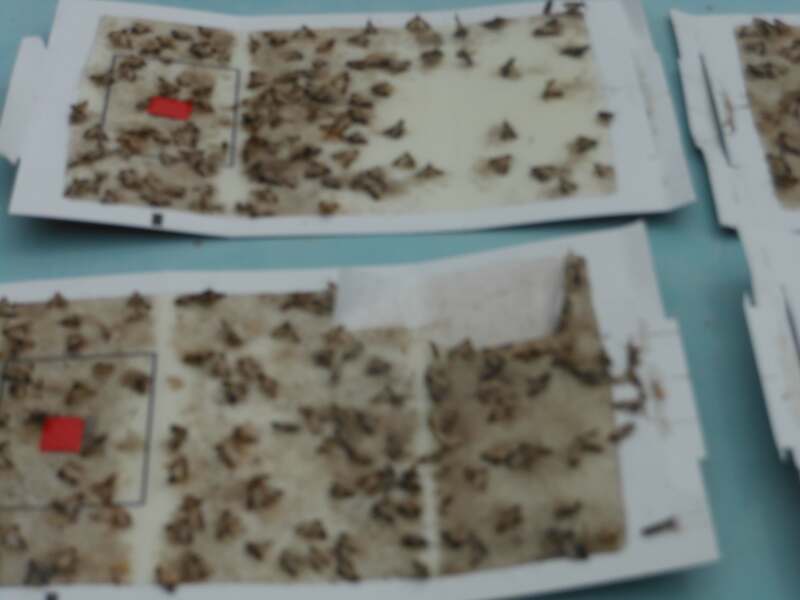 We are pleased that this customer had such amazing results and we hope that you will also experience the incredible ability of our moth traps to help eliminate these flying pests from your home. This entry was posted in Moth Trap Blog, Moth Trap Reviews and tagged moth trap, moth traps, moths, Plodia interpunctella.